Sick of Duck Dynasty posts on Facebook? Remove them (and that “war on Christmas” patter while you’re at it) from your Facebook feed with the “Rather” browser plug-in. This entry was posted in Uncategorized and tagged annoying, Duck Dynasty, Facebook, Remove on December 21, 2013 by Bellsauce. 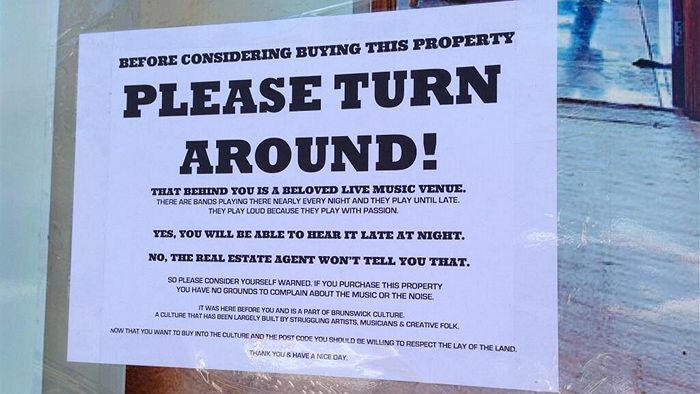 I was inspired by this poster posted in Melbourne, addressing a common problem in the world of live music. This was a problem faced by many venues when I lived in Belilngham, and is most certainly faced by other venues all over the world. Exciting art and music are part of what makes a town attractive to newcomers, but it comes with an alarming trend. 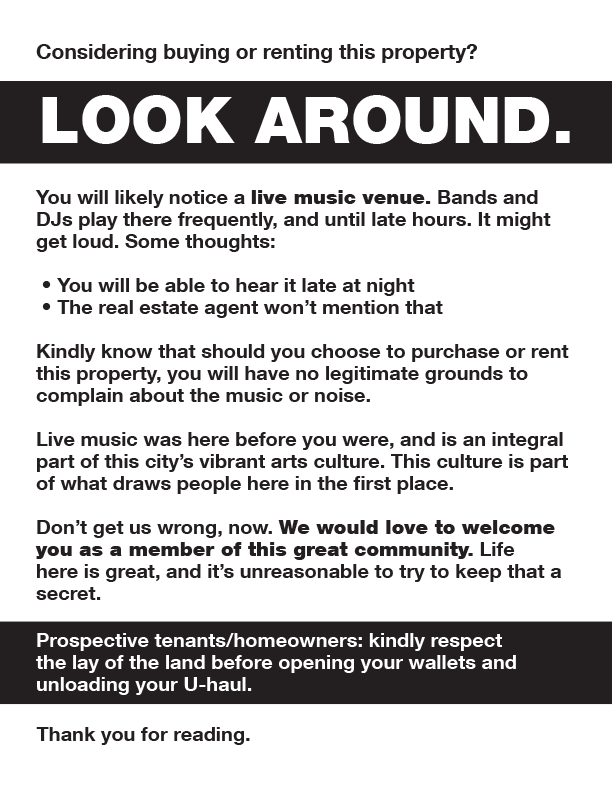 New folks show up to the cool town, move in, buy property, and then complain about the music level. It’s complete BS. I don’t like the smell of manure, so I’ve chosen not to live by a dairy farm. So, with thanks and apologies to the creator of the poster above, I’ve made/plagiarized my own version of the poster. It can be downloaded as a .PDF here, and you should do with it what you will. This entry was posted in Opinion on December 5, 2013 by Bellsauce.